After a long day at work, I know most of us would love to hit the spa to unwind and de-stress. 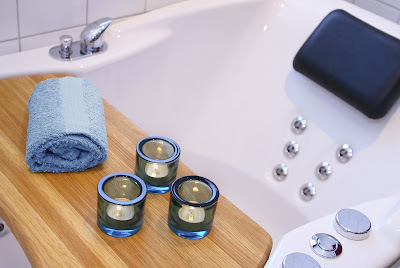 However, going to the spa every day can be too expensive and inconvenient, so transforming your bathroom into an at-home spa solves both of those issues. Here are some ways you can make your bathroom look like a spa; it’s easier than you may think. Spas are all about relaxation, so before you start thinking about that Jacuzzi you’ve always dreamed of, start with the basics. Paint the walls an organic, calming color like a beige or pale green to lend a soothing sense. Also, just about everyone loves soaking in the tub surrounded by fragrant candles because of the warm ambiance it offers. If candles don’t happen to be your thing, you can still opt for potpourri or oil diffusers to give your bathroom a sweet-scented aroma. 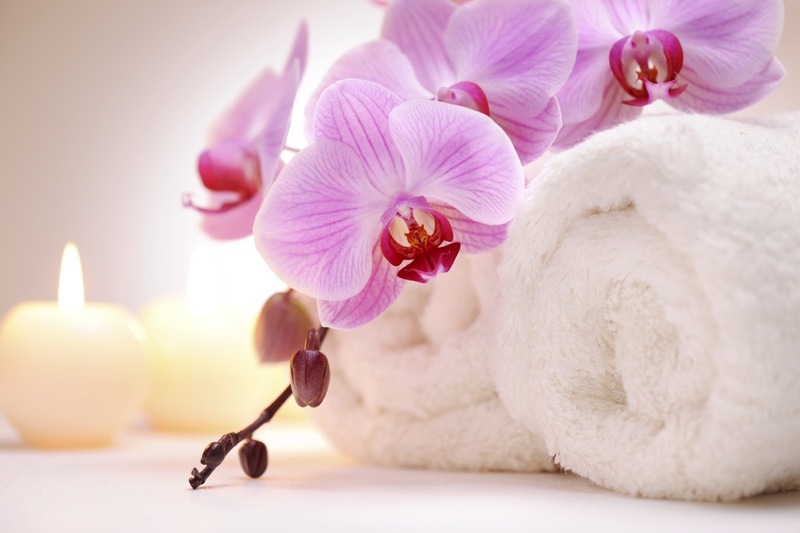 Fluffy towels, bathrobes, rugs and mats can give your bathroom the oasis-like feel of a real spa. Jumping out of a hot shower or bath and into an indulgent towel or onto a luxurious rug completes the ideal shower experience and has you walking on cloud nine. Just make sure you have enough towel bars and robe hooks to hold them all so they don’t lose their soft touch. A tub tray can hold anything you need while you’re taking a bath, and you don’t have to move a muscle. It can hold your soaps and lotions, a scented candle and even a glass of wine or champagne. No, having a glass of wine in the tub does not make you sound like an alcoholic; a lot of people do this to complete their bath experience. In fact, many tub trays on the market come with a wine-holder design, so be sure to take your bath experience to the next level by getting one of these. Finally, upgrade your shower and bathtub heads to ensure you are getting a massage-like feeling every time you use them. Don’t underestimate the value these can have in making your body feel like it just got a deep tissue massage at a 5-star resort. You will use one or both of these every day, so make sure you get these necessities to satisfy your relaxation needs. With these simple steps, you can convert your bathroom at home into a real-life spa. Now, you can give your body the treatment it deserves after stressful days at the office, tiring workouts, 0r for no reason at all; it’s always good to treat yourself. Be sure to browse online or come into one of our three Miami stores to find all of your bathroom essentials!